​​​JourneyLand kids programming for birth-5th available at this service. ​JourneyLand kids programming for birth-5th available at all services. Join us on April 26th and 27th for a weekend of worship, teaching, fun, food, and fellowship. This year, we've added a night of worship on Friday from 6:30-8:00pm. Saturday's event will feature Kim Crabill, national speaker and author of Burdens to Blessings. For more information, email us at jwm@journeycommunity.net. Chick-fil-a box lunches and T-shirts provided. Register by April 14th to be guaranteed to receive a T-shirt. Have you accepted Christ into your life but haven't followed through with baptism? We encourage you to take this Next Step with us! Baptism class will be Sunday, April 28th at 2:00pm in the Next Steps area of the Atrium. ​Join Pastor Bobby and some of Journey's staff to hear about who Journey really is, find out how to partner, and share in some Q&A time. ​JourneyLand Extreme (JLX) is a series of free summer day camps for pre-school through 5th grade kids. JLX events are taking place all summer long – you can find more information about each day and how to register at jlxcamps.net. As part of our partnership with the village of Trouforban, we provide food and education to the children via individual sponsorships. 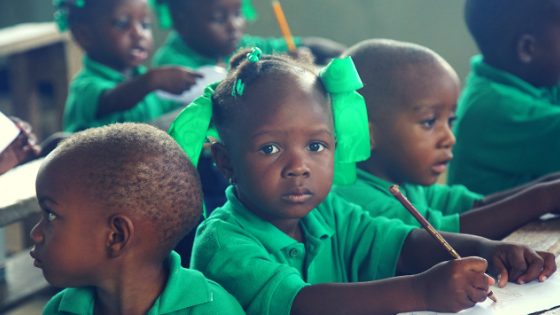 If you'd like to make this one-year, $40/month commitment to support the nutritional or educational needs of a child, fill out the form below. If you are interested in being on one of these teams, please fill out the mission trip application. If you'd like to sponsor a trip participant, follow the links for each trip sponsorship. All of our student summer mission trips are officially full. If you'd like to donate towards a student's trip, visit jsmmissions.com.